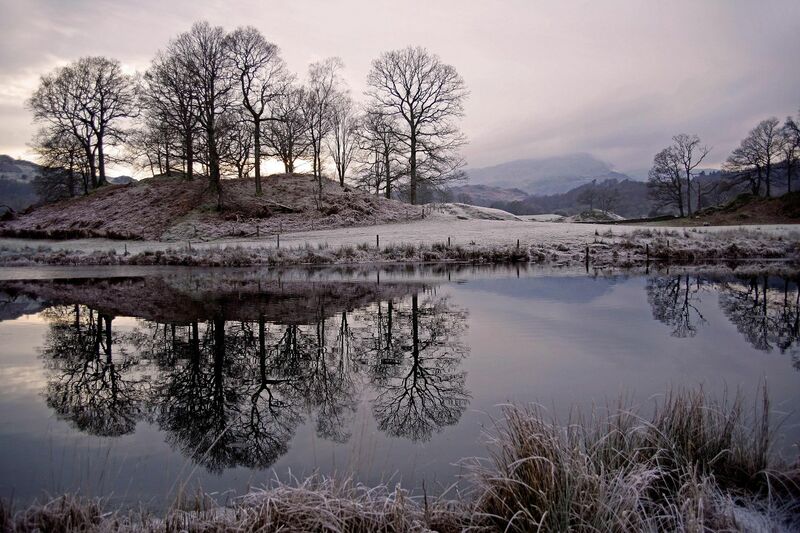 I took this image of the River Brathay near Elterwater on the short walk from Elterwater to Skelwith Bridge. The frost had never cleared from the ground as the temperature was well below freezing. As the sun was setting, there was a lovely purple glow in the sky and the trees were reflected in the still water.